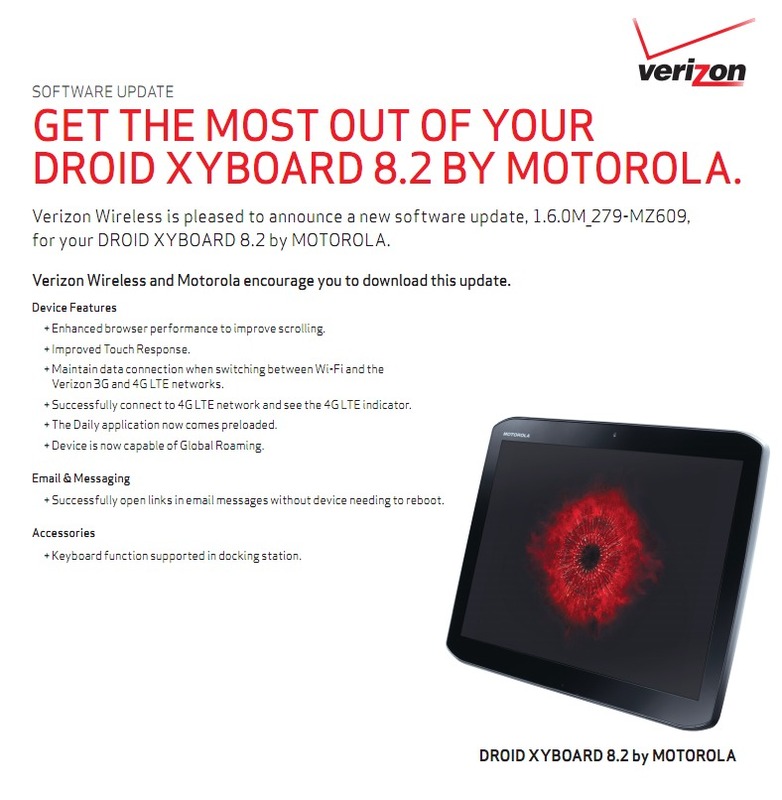 More updates for Verizon Android devices! The DROID XYBOARD tablets are up next and will receive build 1.6.0M_279. That’s right, both will see almost the same exact update. The only difference we were able to spot, were the additional “Stylus enhancements” that are included in the 10.1’s new build. Other than that both will receive better browser performance, improved touch response, will hold data connection while toggling between WiFi, and most notably, are now “Global Roaming” devices. If you are keeping track, these would be Big Red’s first 4G LTE global devices, something we hope points towards them unlocking the ability in phones. Update: Verizon reached out to explain exactly how this global update will work. First, XYBOARDs will receive the update that is detailed in this post. Within 2 weeks, a second update will arrive that updates the SIM card, making it ready for global travels. Once users have received both they will have coverage in 205 countries, and more than 150 of those with 3G speeds. The updates are 83.8MB in size.